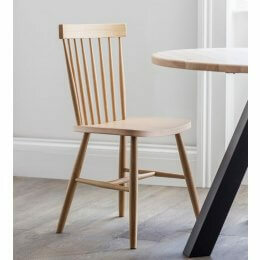 A classically designed Spindle Back Chair expertly crafted from Beech wood. The distinctive design has been given a contemporary update with a soft matt-black painted finish, Carbon. 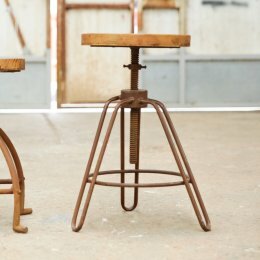 Each chair has a curved seat, tapered legs and supportive backrest ensuring comfort and style. 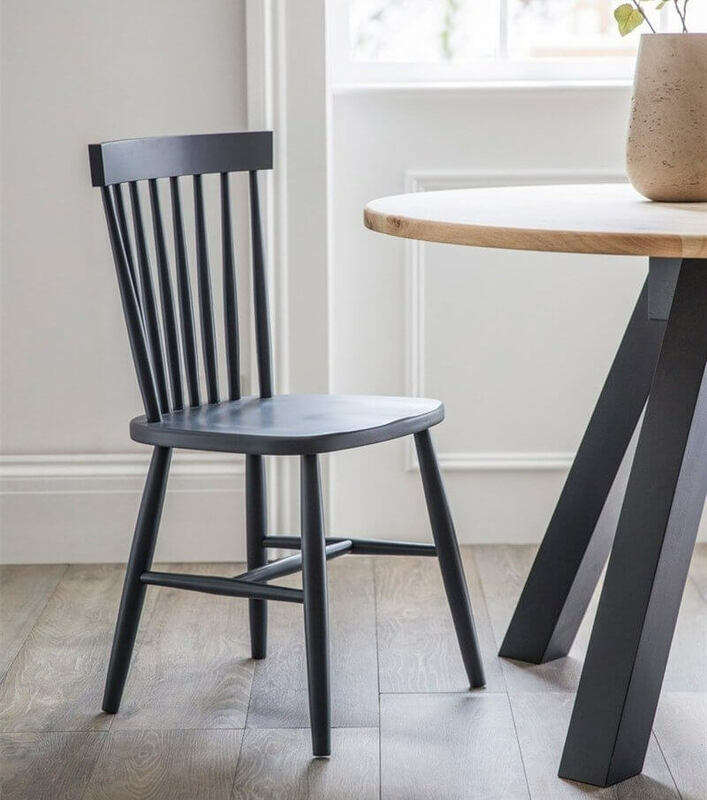 These chairs look beautiful when paired with our Raw Oak Dining Table.